The certificate is titled “Ex Parte Reexamination Certificate.” The title is followed by an “ordinal” number in parentheses. For example, if reexamination was ordered under 35 U.S.C. 304, the ordinal number may be, for example, “(235th),” which indicates that it is the two hundred and thirty fifth ex parte reexamination certificate that has issued. The certificates continue the ordinal numbering sequence that has already been established for ex parte reexamination proceedings ordered under 35 U.S.C. 304. 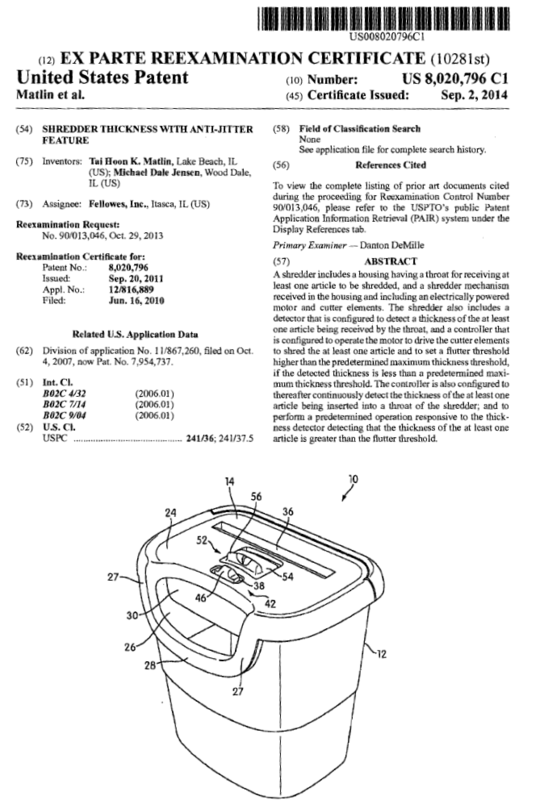 The ex parte reexamination certificate number will always be the patent number of the original patent followed by a two-character “kind code” suffix. The first letter of the “kind code” suffix is “B” for reexamination certificates published prior to January 2, 2001, and “C” for reexamination certificates published on or after January 2, 2001. 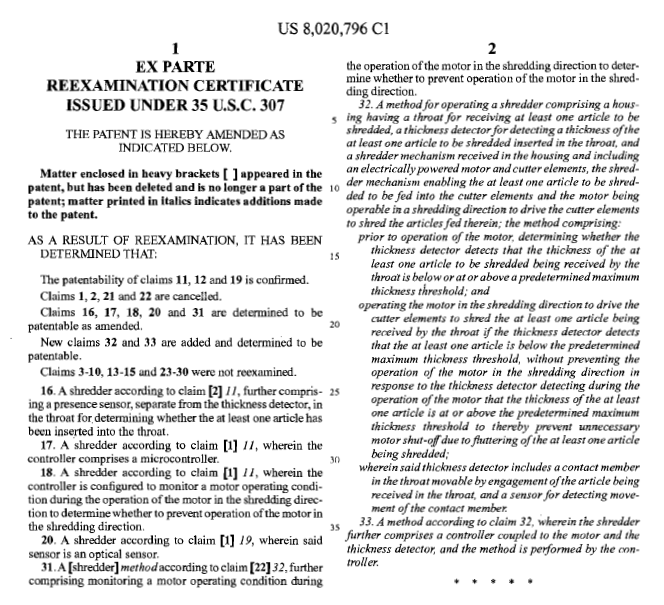 The second letter of the “kind code” suffix is the number of the reexamination proceeding of that patent, and thus shows how many times that patent has been reexamined. (A) The filing date and number of the request is preceded by "Reexamination Request" if the reexamination was ordered under 35 U.S.C. 304, and “Supplemental Examination Request” if the reexamination was ordered under 35 U.S.C. 257 (the control number of the supplemental examination request, which is also the control number of the supplemental examination proceeding, is identical to the control number of the reexamination proceeding ordered as a result of the supplemental examination proceeding).